Encourage the importance of tithing with offering envelopes. 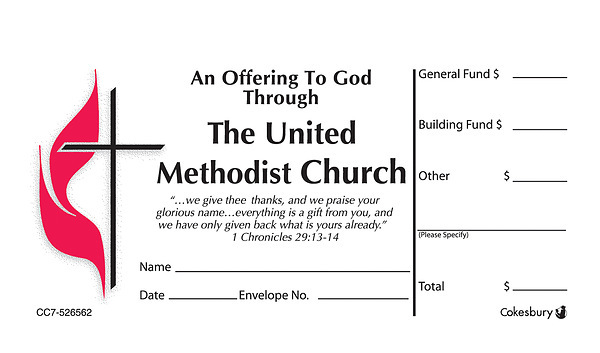 Sets contain 48 perpetually dated envelopes (Jan., 1st Sun., etc…) for one year, plus 4 Fifth-Sunday envelopes, plus an initial offering envelope requesting $1.00 to defray the cost. Boxes are not numbered, but each has a space for an assigned number, if used. **Smaller mini-sized envelope does require money or check to be folded. Also can be used for children's offerings. Dimensions: 2½” x 4¼”.